With so many different types of insurance out there, it can be difficult to keep track of which kind covers what and what kind of insurance you need. In this post, we’re going to take a closer look at a type of car insurance called guaranteed auto protection or GAP coverage. Here is some basic information and how to know if this is a type of insurance you need. Gap insurance is optional coverage for your vehicle that will help cover any gaps between what you owe in the event your vehicle is damaged and the actual cash value of your automobile. For example, say you are in an accident and your car’s cash value is $10,000, but you owe $12,000 on the loan, gap insurance will help cover that $2,000 difference. 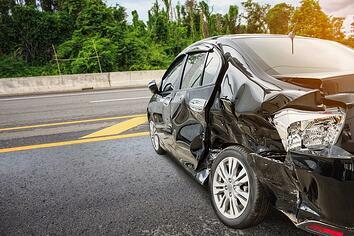 If you are in an accident and your car is a total loss, this is where gap coverage comes into play. As stated above, it will help cover the “gap” between what is owed on the car and the car’s actual cash value. While Gap insurance is optional, it may be a good idea to purchase it if you owe more than your vehicle is worth or you’re leasing the vehicle. If you own your car or owe less than the cash value, you don’t need gap coverage. If you have any questions regarding your specific insurance needs, reach out to an insurance agent.